The main pedestrian street in Nizhny, Bolshaya Pokrovskaya. The State Bank on Bolshaya Pokrovskaya. 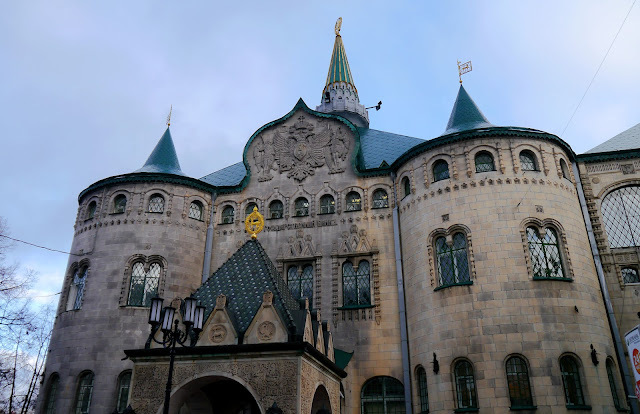 Within the Kremlin of Nizhny. Monument to the soldiers of WWII. 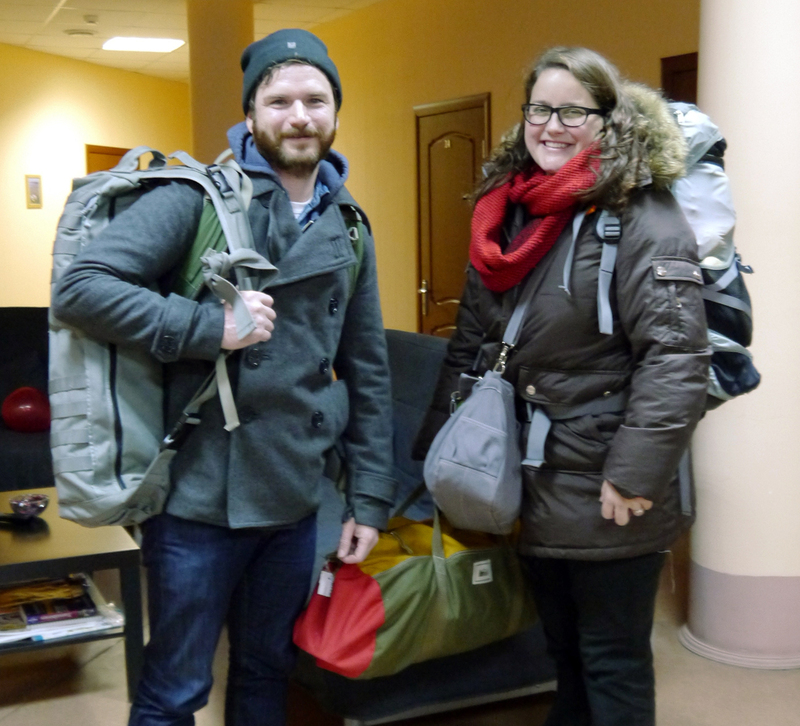 All geared up at the hostel in Nizhny about to head out to the train station. A12-hour train ride from Moscow and we got off in Nizhny Novgorod around 5:30am. It was dark and the streets were empty and we didn't have directions or a map of where the hostel was. So we checked our bags at the train station and started walking the streets. We crossed a bridge over the Oka river and walked up a large hill to where the main part of the town is. To say we were excited when we saw an open coffee shop (with wifi!) is an understatement. We got directions and the rest of our 2 days in Nizhny went smooth (save a few extra trips on buses). Before we left, the weather changed from fall to winter and we were (sorta) happy to finally wear the heavy coats we've been lugging around.